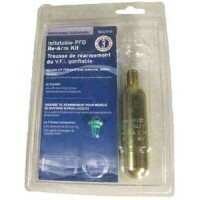 Re-arm kit (manual) for md2010 Description: Re-arming Kit for MD2010..
Deluxe Inflatable PFDs combine the advanced safety of inflatable technology with product enhancement.. The all new M.I.T. 100 is a stylish, easy to use and easy to wear inflatable PFD featuring Mustang S..
Re-arm kit for md2014/md2016 Color: Re-arm Kit for MD2014/MD2016..
Rearm kit for md3085 md3081 Description: Re-arming Kit for MD3082, MD3084, MD3085, MD3087 & MD3181..
USCG approved. The Hydrostatic Inflator Technology offers reliable inflation in a low maintenance de..
SOLAS reflective tape on collar front and back. Fast tab to attach required equipment. Mesh lining e..
PE foam filling. 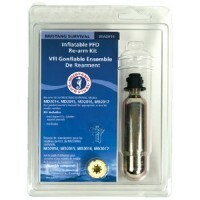 Designed specifically to provide minimum buoyancy and turn unconscious person face ..
Includes one cylinder and one pin. Size: 24 gramFits: 1131, 4444..
Includes one cylinder and one pin. Size: 33 gramFits: 0375, 1138, 1139, 1375, 1143..
Includes one cylinder and one pin. Size: 23 gramFits: 1125..
Includes one cylinder and one pin. Size: 33 gramFits: 1469, 1473..
Includes one cylinder and one pin. Size: 33 gramFits: 1125..
Includes one cylinder and one pin. Size: 38 gramFits: 38APRO, 38ASTD, 38AHAR, 38AMPV..
Includes one cylinder and one pin. Size: 38 gramFits: 1231 (38AS STD, 1268 (38AS HAR), 38AS PRO..
Includes one cylinder and one pin. Size: 38 gramFits: 1201 (38MBP), 1225 (38MLNG), 38MHRN, 38MREG..
Pfd 1271 manual inflat blue Color: Blue/BlackDescription: 24 gram Manual..
Pfd 1271 manual inflat - red Color: Red/BlackDescription: 24 gram Manual..
Easy repack #1431 24g blu Color: Blue/BlackDescription: ..
Pfd easy repack #1431 24g red Color: Red/BlackDescription: ..
1439 inf pfd stn blu Color: BlueDescription: ..
33 gram manual 3f Color: NavyDescription: ..
1248 inf pfd 33g man 3f md nav Size: MediumDescription: ..
1248 inf pfd 33gr man 3f nav Size: X-LargeDescription: ..
1443 infl pfd nav Color: Navy/RedDescription: 33 Gram 1F w/ Harness..
4430 infl sos sptmn chstpk org Size: Universal, 30"- 52"Color: Orange/BlackDescription: ..
Includes one cylinder and one pin. Size: 16 gramFits: I014, I016..
0924 rearm 33g kit 1439/1443 Color: Re-arming Kit for 1280, 1281, 1439, 1443 & 3000000903Description..
0925 rearm 16g kit for 0340 Size: Re-arming Kit 16gColor: Description: ..
0932 rearm 33g manu 0275/1189 Color: Re-arming KitDescription: ..
0948 rearm 24 mrp-cyl pin Color: Re-arming Kit 24gDescription: ..
0949 rearm 0453 man kit 24g Description: Re-arming Kit for 1215, 1216 & 1217..
Includes one cylinder and one pin. 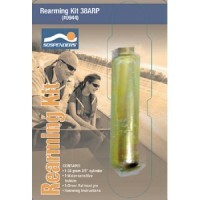 Size: 24 gramFits: 1210NG00000..
0952 rearm 0456 auto kit 38g Color: Re-arming Kit, for 38AREG, 1220 & 1230Description: ..
0954 rearm auto model 24 arc Color: Re-arming Kit 24gDescription: ..
Includes one cylinder and one pin. Size: 2000004043Fits: ..
1217 infl pfd 24m stole nav Description: 24 gram Manual..
Ripstop nylon shell with zippered pocket and organizer compartments inside. Zippered hand warmer poc..